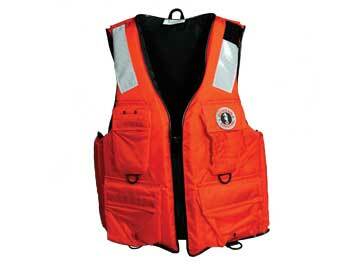 The MV5600 Search and Rescue Vest is strength tested to 100 mph meaning it has been designed, tested and approved to hold up to rigorous activities. 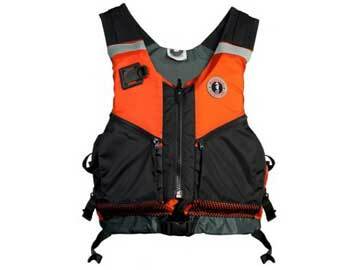 The high neoprene lined collar provides impact protection by minimizing neck mobility and the large 3 belt adjustment system creates a secure fit. 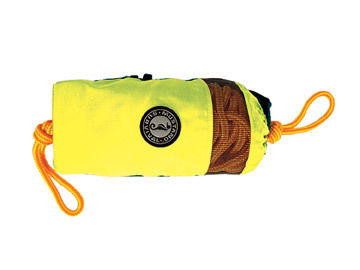 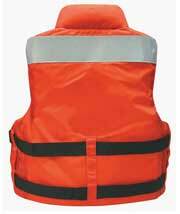 Large cutaway arm holes for maximum range of motion, international orange fabric for high visibility, large front cargo pockets and multi purpose fast tab radio clip makes this durable and comfortable PFD a functional part of your personal protective equipment. 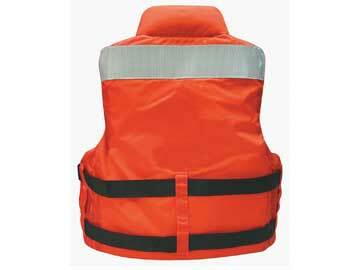 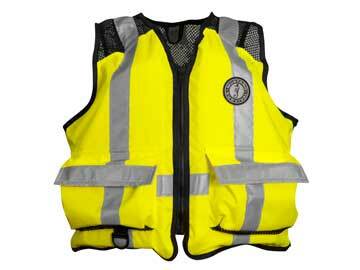 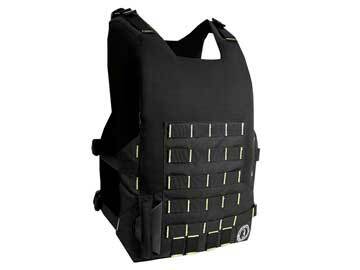 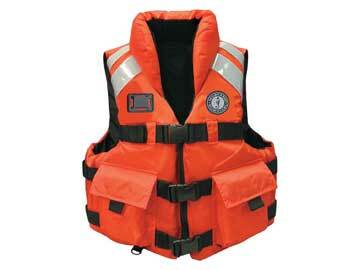 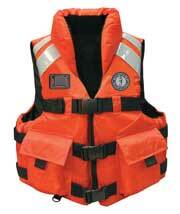 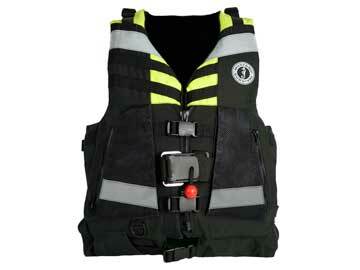 The MV5600 provides security and comfort for water rescue personnel and Search and Rescue teams (SAR).